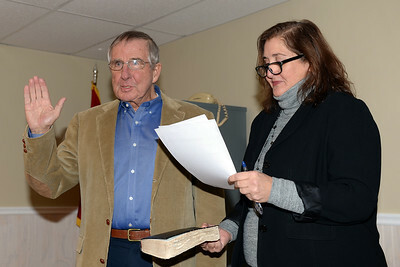 Mayor E. Laurence White of Mantoloking, New Jersey is seen being sworn-in to office on 01/03/2019. (STEVE WEXLER/THE OCEAN STAR). 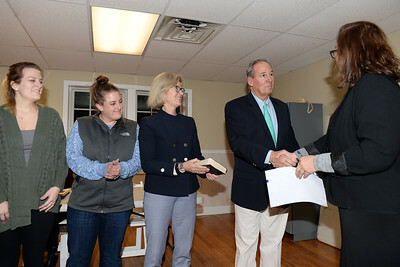 E. Laurence White is seen being sworn-in as Mayor of Mantoloking, New Jersey as his family looks with approval on 01/03/2019. (STEVE WEXLER/THE OCEAN STAR). 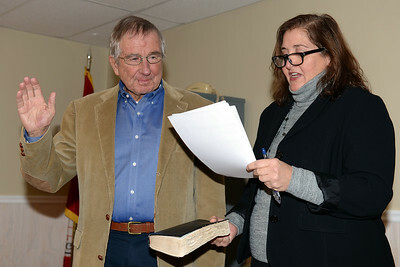 Mantoloking, New Jersey Councilman E. Steve Gillingham being sworn-in to office on 01/03/2019. (STEVE WEXLER/THE OCEAN STAR). 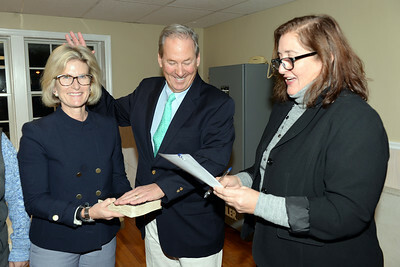 Mantoloking, New Jersey Councilman E. Steve Gillingham being sworn-in to officde on 01/03/2019. (STEVE WEXLER/THE OCEAN STAR). 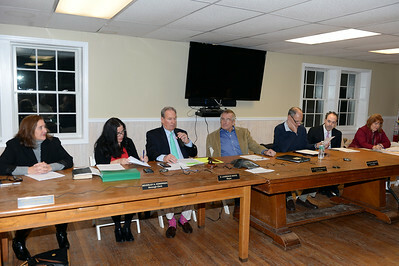 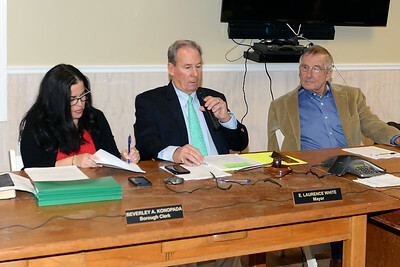 Mantoloking, New Jersey Mayor E. Laurence White addressing the audience at the reorganization meeting on 01/03/2019. (STEVE WEXLER/THE OCEAN STAR). 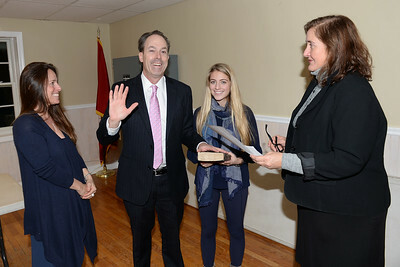 Mantoloking, New Jersey Councilman F. Bradford Bratcha being sworn-in to office with his family present on 01/03/2019. (STEVE WEXLER/THE OCEAN STAR). 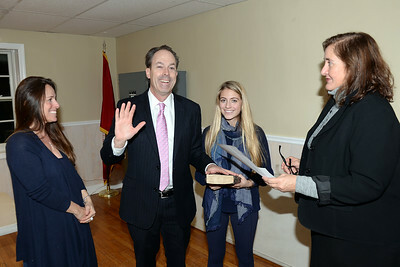 Mantoloking, New Jersey Councilman F. Bradford Bratcha being sworn-in to office as his family observes on 01/03/2019. (STEVE WEXLER/THE OCEAN STAR).